Bernard Lewkovitch is a Danish organist, choir conductor and composer. As a Catholic, his music has been particularly inspired by his faith, resulting in a prolific output of religious music. His parents were Catholics and emigrated from Ukraine to Copenhagen, Bernard’s birthplace. He first came into contact with music through Gregorian Chant in church and through the Ukrainian folk music which filled the home. His family were very poor and eventually placed him in a monastery before later sending him to a boys’ home. 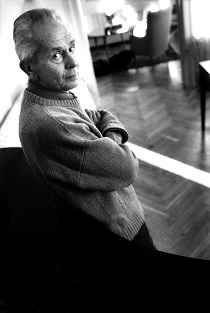 Lewkovitch’s reputation began to expand in the 1950s due to his experimental works in particular. Some of them were inspired by polytonality and twelve-tone technique. Since the 1970s he has composed a wide range of music, mainly choral, rooted in the ancient music of the Catholic church.